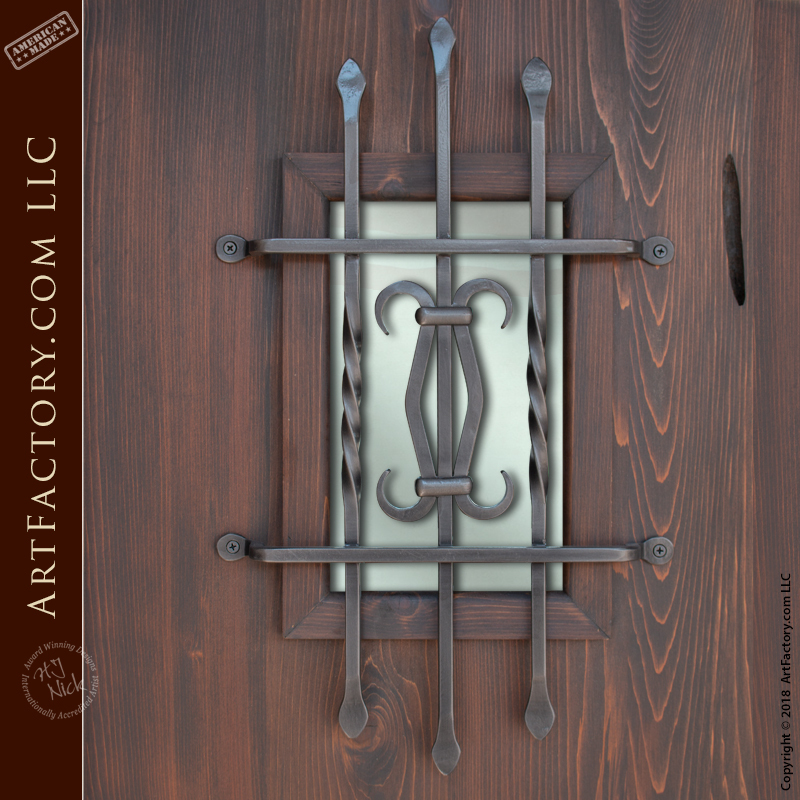 At ArtFactory.com we created this custom Spanish style door grill inspired by designs popular in southern Spain. Our custom door grills, theme door pulls, iron strap hinges, and other custom hardware products make a lasting first impression that reflects your personality and accomplishments. We can build custom wrought iron door and window grills designed to fit either your residential or commercial property. Like all of our hardware, these grills are made from wrought iron that has been hand forged by our in house, master blacksmiths. Using pure wrought iron, and old world blacksmithing techniques, we are able to produce a quality of door hardware the is unsurpassed anywhere, at any price. This Spanish style door grill is the perfect combination of style and security. These grills are coal fired and anvil hammered into this unique design inspired by Spanish architecture. All of our custom door grills are available in any size, style, or finish. This designer portal grill can be custom fabricated in any design you can dream up. You can order from any of the products in our online catalog, send in your drawing or photos, or have us create a design from scratch. We can also build any design from history to historically correct specifications. Call 1-800-292-0008 today to get pricing, and speak with one of our talented design engineers about building a Spanish style door grill to your exact specifications.